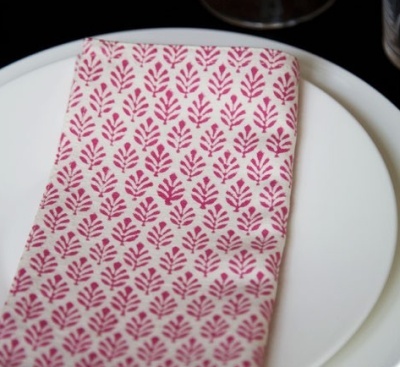 Napkin features a beautiful leaf design in rose pink. Napkin measures 45 x 45cm. Hand block printed. 100% cotton. This napkin is the perfect partner for the Bungalow Leaf Rose Orange tablecloth.